As today is the first day of November and Halloween is behind us, many people will do the twenty X days of thankfulness and post about the things they are thankful for. I just wonder how many of us express our gratitude during the rest of the year? I personally have been working on doing better at this for many years. It isn’t that I am not grateful, it is that I don’t express it as quickly as I should. I have a brother that is really good at doing this, for many years he has set a great example for me and our siblings. I do look forward to the holidays each year with hope and excitement because many people seem to be filled with joy and kindness. The world seems to become a better place even for these next 2 months as the year ends with Christmas and New Year’s. These 2 months seem to rekindle our connection to each other and remind us that not only are we not alone, we are connected. Something that continues to impress me about several homeless people I have met is their gratitude for the smallest kindness or service. I have a friend that is homeless and so I don’t see him very much, nor do I hear from him very often. Our friendship has made me more aware of the homeless community within my county and how I might be better able to help them as a group and individually. I know that it is going to get colder with fall in full swing and winter coming on soon; the homeless shelter in town recently underwent some renovations and now can sleep 78 (?). Which I have learned in a community of 110,000 people, that is not enough to help out these individuals. In our nation today, with all the wealth and resources we have, this continues to be an issue. It is also a very complicated issue from what I have witnessed. I don’t have an answer on how to solve this problem … I don’t know if it is a problem we will ever solve in a way that truly helps our fellow citizens. I know that many of them have lost hope and their dignity. I hope one day that we can solve this problem for our nation … especially because we are better than this. 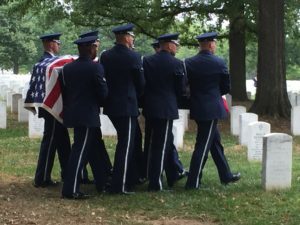 We are a great nation and one that has and can do hard things. Gratitude, such a plain and unassuming word that is filled with love and depth. May each of us allow our hearts to be turned a little more to our neighbor and reach to lift the head that hangs down and strengthen the feeble knees. May God bless our nation that we can again lead the world in goodness and hope for a brighter future. 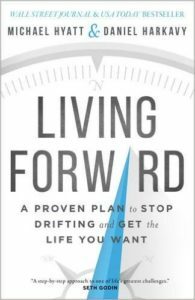 I have talked about Michael Hyatt and his This Is Your Life Podcast before, I recently picked up his book “Living Forward“. In short, it was all about visualization. Planning your future and living into it. If you have read “7 Habits of Highly Effective People” and “The Secret” or even if you haven’t; you will find value from this book IF you put it’s concepts into practice. I also should admit that I got the book on Sunday and read it completely on Monday. I have already started working on myself with what I learned.